Kris Wall Minis: Primaris Space Marines! 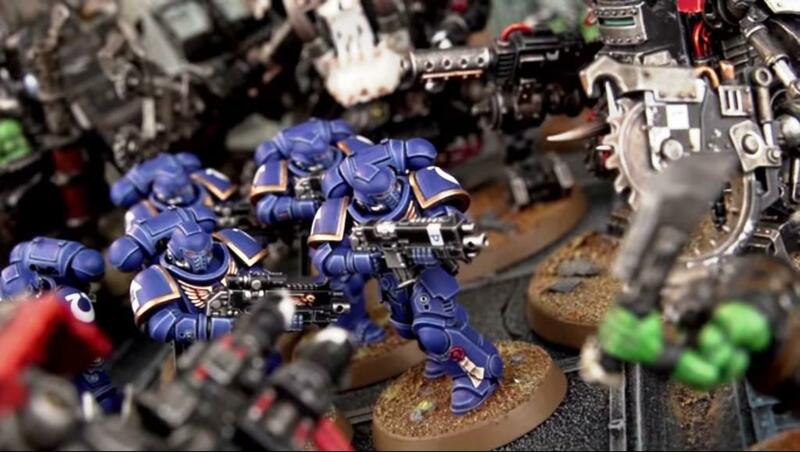 Games Workshop revealed the long rumored (and oft secretly photographed) Primaris Space Marines. 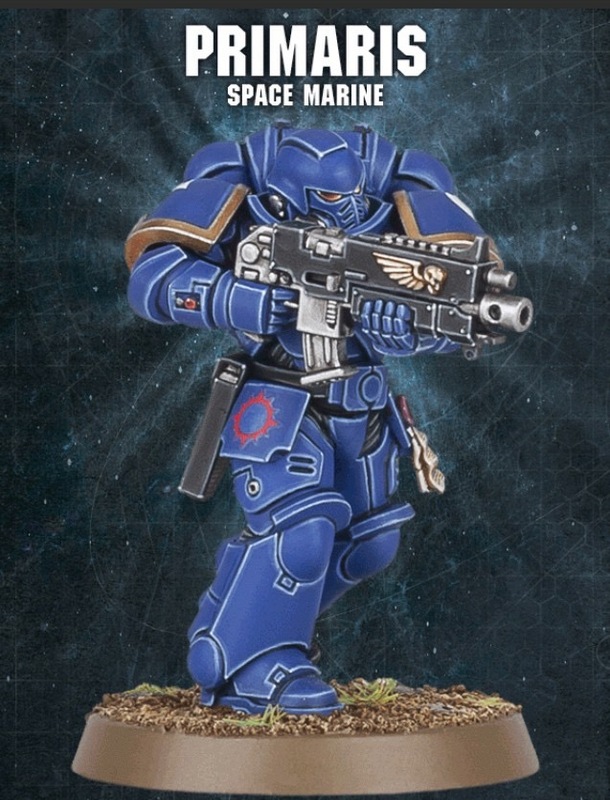 People have been calling them Truescale or NuMarines. 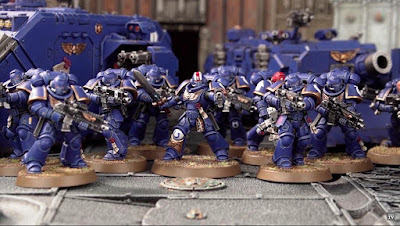 From a fluff standpoint, they're super-Marines commissioned by Roboute Guilliman from Belisarius Cawl almost 10,000 years ago. 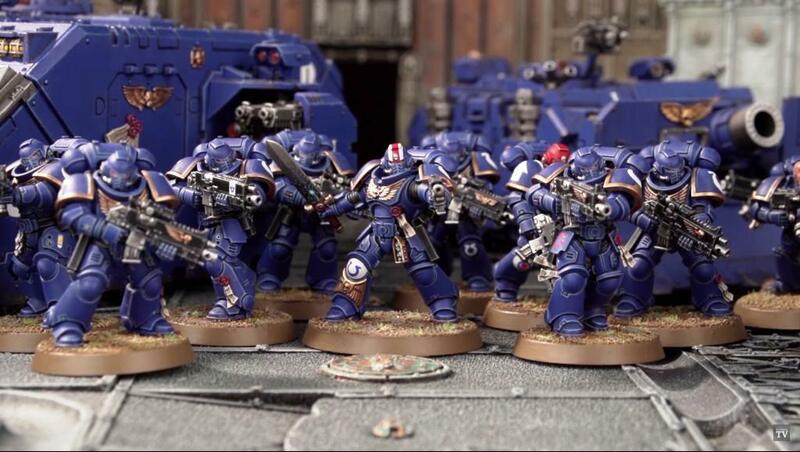 The models have a more realistic proportion. 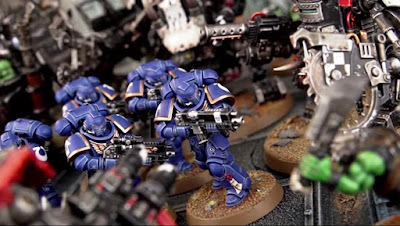 Games Workshop is known for its "heroic" scale, which means that arms and legs are exaggerated. A model's hands are frequently larger than its head. I think they did a good job making these new guys a little better. 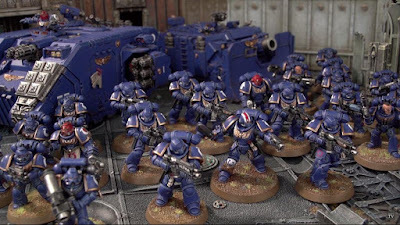 From a rules perspective, they're basically regular Veterans with an extra wound and a slightly better gun. I'm curious to see how many points they up at. One interesting thing to look at. The guy in the below picture with the red/white striped helmet clearly isn't an Intercessor. He's on a 40mm base. He has a power sword. 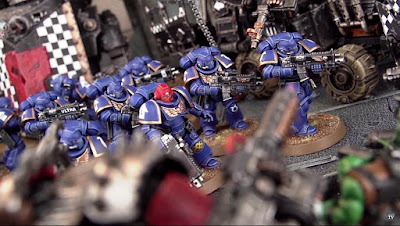 Power swords aren't a listed upgrade for the Intercessor Squad. 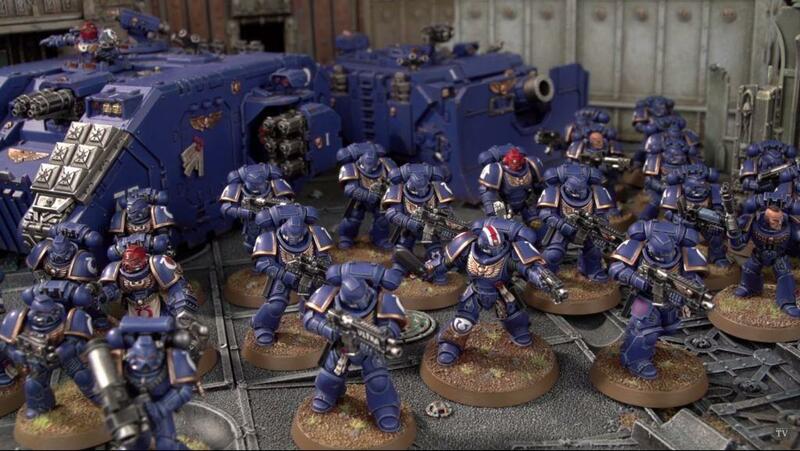 The dude with the red helmet is clearly the squad sergeant. I'm assuming that this new guy is a Captain or something. Time will tell.